Women’s History Month in the United States can be traced back to a week-long celebration of women’s contributions to culture, history, and society. Organized by the school district of Sonoma, California in 1978, President Jimmy Carter was the first to issue a proclamation declaring the week of March 8 as National Women’s History Week. In 1987, after being petitioned by the National Women’s History Project, Congress passed Pub. L. 100-9, which designated March of that year as Women’s History Month. Over the next 5 years, Congress passed additional resolutions requesting and authorizing the President to proclaim March of each year as Women’s History Month. Since 1995 Presidents Clinton, Bush and Obama have each issued a series of annual proclamations designating the month of March as Women’s History Month. 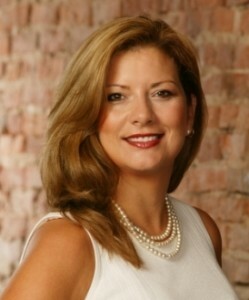 Observation Baltimore is owned by our own accomplished woman, Barbara Gassaway – President, CEO of The Research Group. You can read her latest article, “Me Myself and the ‘I Generation,’” in this month’s Journal of Market Research. The market research specialists at The Research Group & Observation Baltimore can help you innovate through discovery! click here to learn more! This entry was posted on Wednesday, March 14th, 2012 at 2:07 pm. Both comments and pings are currently closed.